5th September is celebrated as Teachers' Day to honour the memory of Dr Sarvepalli Radhakrishnan, the second President of independent India. We never forget to remember all our teachers from school, college and University. We remember our parents as our teachers and guides. But how often do we remember what wonderful little teachers our children can be? If only we let them. There is a lot we can learn from them. If we are willing enough. I am being taught the virtues of multi-tasking. I have to, there are only so many minutes in a day. And there are so many important things that a toddler would rather have you do than your work. So you think while you play, eat while you cook, read in the bath and write when the little one is fast asleep. Not forgetting talk at the rate of 5 words a second through all his waking hours, while you carry on doing all those other things. J has unwittingly unleashed my latent creative talent. He is a practising master in the art of lateral thinking (I believe all children are, till they are taught conventional wisdom by their wise elders). Seeing him in action is an inspiration for me to follow suit. 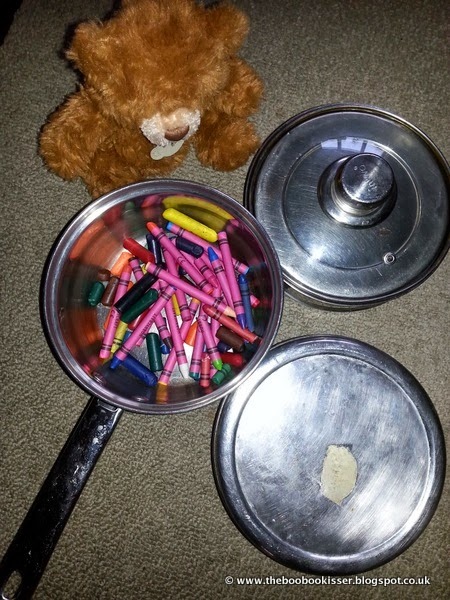 Who would have thought crayons could be cooked in a saucepan to make 'crayon-bhaaji'. Or that the best place to store your teddy is in the oven. Not in my wildest dreams would I have mixed 2 jigsaw sets together just to enhance the puzzle-solving experience. Having a toddler toddling around has taught me to perform to an audience. Even a celebrity gets more privacy from paps than I get in my own home. I leave the rest to your imagination. There is one thing that I would never have been able to teach J. Not in a million years. The use of modern technology. It comes as no surprise then, that it is he who is teaching me what to do with the gadgets at my disposal. He seems to know more about the switches on our television set than I do. I thought I was the only teacher in our mother-son relationship. 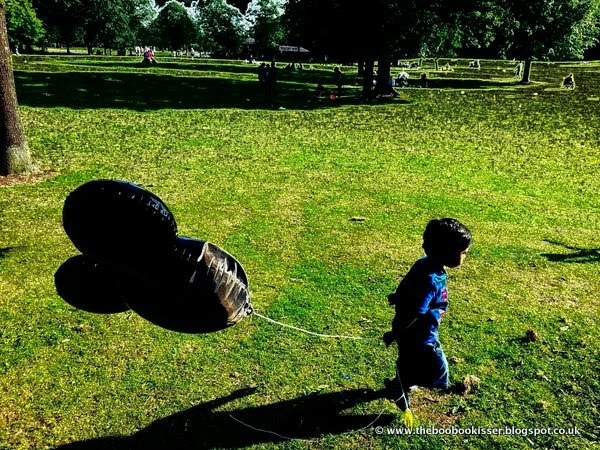 Until the beautiful realisation dawned that I was learning more things from my son than I was perhaps teaching him. Things that I had forgotten to remember, that had slipped away in the bustle of being a grown up. J has taught me the true meaning of unconditional love. I had read about it, heard about it, perhaps even experienced it (from my parents). But never really understood it completely. Now I do, and J has taught me. My son has taught me to appreciate the little things in life. The little things that cost nothing but are worth a lot. A kiss, a cuddle, a hug. A smile, a giggle, a laugh. Sometimes even a cry. I have been taught to recognise the true worth of an empty cardboard box, of a deflated balloon, of a tattered old teddy and of a crumpled piece of paper. My little boy has taught me the value of being in the moment. To stop in my tracks to stare at a ladybug as it crawls along the grass. To watch a seed bear fruit, to see sunshine streaming through the window. I have to stop to hear the bumble bees in the lavender, to hear the rain falling on the roof. I have to stop and wait as little welly boots jump in muddy puddles all the way down the road and back. I have to stop and smile when a little hand tugs at mine, urging me away from work, to play. I hope I will always be J's friend, philosopher, guide and teacher. But I would not be half as good if it wasn't for him bringing out the best in me. As any good teacher does - brings out the best in their students. He has tried to eat it!!!! I thought he had eaten some chocolate. Turned out was the brown crayon! Non-toxic washable crayons is the way forward.